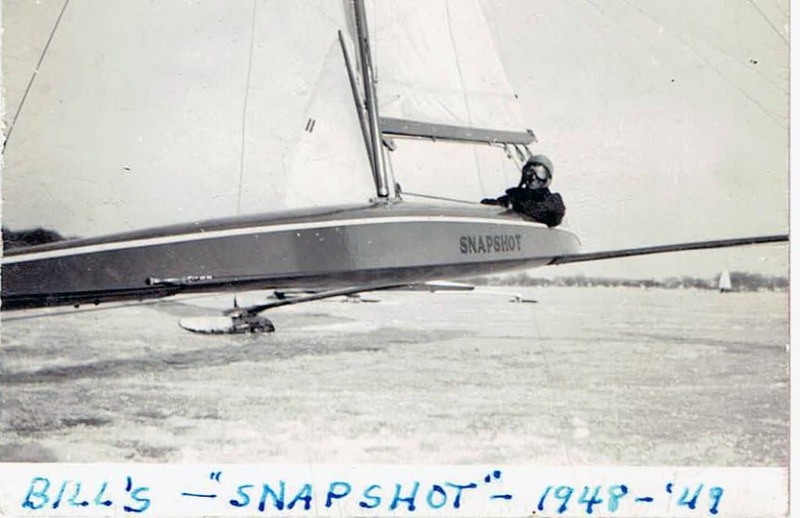 Steve Orelebeke sails in HONEYBUCKET XIV, the last Skeeter built by Bill Mattison. Steve has won several major regattas sailing HONEYBUCKET XIV. Lynn Mattison Raley about her father, Bill Mattison. Bill’s daughter, Lynn Mattison Raley, explains the lineage best in a wonderful book she put together about her dad. 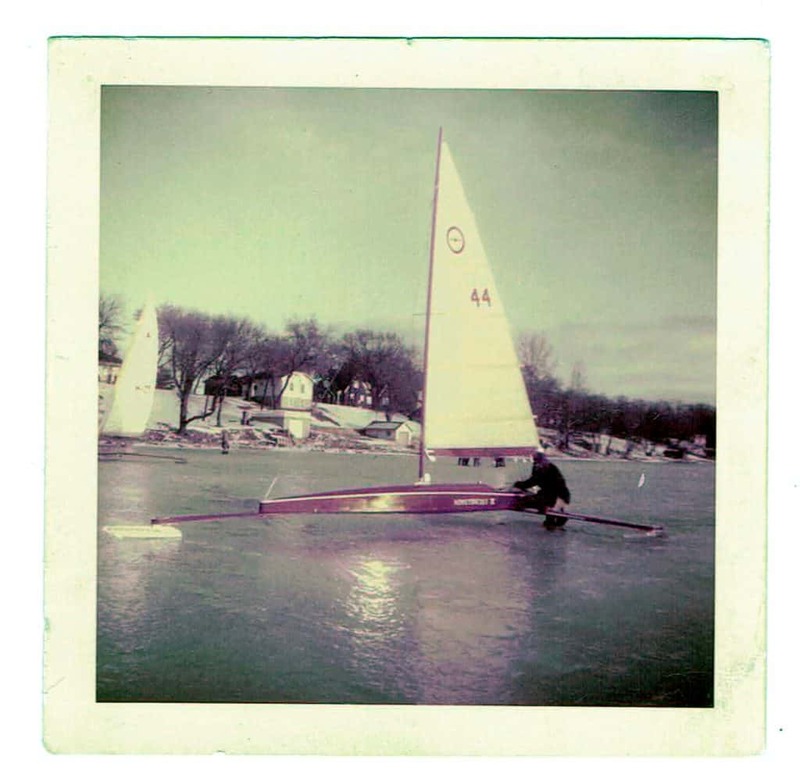 “Bill was now really hooked on iceboats and started building his first one-design iceboat, a Renegade. Unfortunately, during the winter of 1949, a fire swept through his family’s home. Damage was confined to the basement, destroying Bill’s new iceboat. Undaunted, he built another. Two years later, SNAPSHOT, named in honor of the family business, Star Photo Service, was on the ice ready for her first race. That boat also met with an unfortunate end. While waiting for his first race to begin, the [stern-steerer] FRITZ came around the leeward mark of the racecourse, spinning out of control right into Bill’s new boat, turning the beautiful SNAPSHOT into a pile of firewood. Then came the Korean War and service with the army. 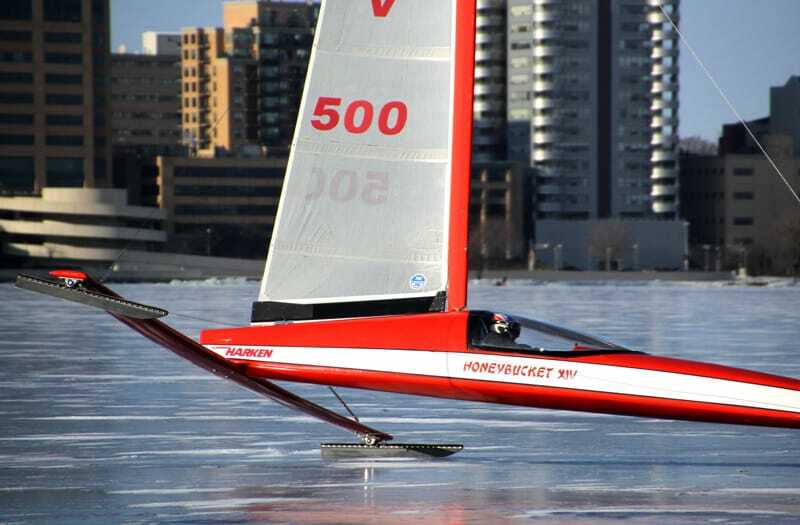 Iceboating would have to wait for Uncle Sam. HONEYBUCKET II from the Herb Krogman collection. Bill's first bow steering iceboat, the Renegade SNAPSHOT, which subsequently burned in a fire shortly after this photo was taken.